Float tanks are expensive but are a worthy investment. A sensory deprivation chamber provides you a private and silent space where you can meditate, de-stress and heal yourself. How many times have you caught yourself wishing that you can take a moment for yourself every day to just check out from the world and relax? With so many distractions even at your own home, it can be hard to find the time and the perfect place to do simple meditation. What you need is an enclosed environment that will block out all light and noise. Sure it can be easy for some people to find a place that can call their own during meditation but for others, it is not. What you need is your very own sensory deprivation tank, also known as a flotation tank. But how much is a float tank? If you want to learn more about float tank prices, then you are on the right page. Continue reading to have a strong grasp of the matter. 1 How Much Does a Float Tank Cost? How Much Does a Float Tank Cost? Thanks to the internet, finding a float tank price that will be compatible with your budget is a lot easier. It can be a lot of fun browsing through different pages about the features and pricing of each unit while imagining yourself relaxing in one. You may want to start writing down your expectations from a float tank and arrange them according to priority. Don’t be shy to add even the superficial features that you think may make your experience a lot better. After you have that, consider your budget and how much you are willing to pay in cash, credit, or if you will be taking out a loan for the purchase. 📌In general, the price of float tanks depends on its size, design, capacity, features and application. If you are starting a float tank business, you will probably need a commercial one. But if it’s for personal use, a residential floatation tank will do and it is much cheaper. The material of the float tank is another factor that greatly affects the price. Some float tanks are made of fiberglass to prevent mold and mildew. A fiberglass float tank is one of the easier materials to maintain and clean, but it is also expensive. Some have durable plastic parts and other more affordable options use canvas or nylon for the covering. Additional features such as LCD lighting, a built-in music player, its own temperature control, a filtration system, and a dome-like hatchmay increase the float tank’s price too. Some models will have its own refilling and drainage system that you can attach to any water outlet at home. These features are all well and good but are optional when it comes to the actual experience and will only cost you more. A home float tank may cost you somewhere $1,900 to $30, 000. Don’t worry because we will guide you in picking the one that suits your budget the best. In the next section, we will give you a list of the high-end float tanks and the cheapest one in the market. Perhaps one of the most expensive and aesthetically pleasing are the fiberglass Evolution float pods which is retailed anywhere from $20,000 to $30,000, depending on its features. They usually come with dual UV tubes, a 6-corona discharge module, and an auto-chlorination mode for water treatment. Its skimmer works well, eliminating the need for a net and there are even built-in filters. It has its own heating system and even a multi-color LED-lighting. It is not totally light-proof and you may leave the pod hatch open for the benefit of anyone suffering from claustrophobia. With the hefty price tag, you also get a sound system to play your music of choice which can be operated from the outside or pre-programmed beforehand. 📌The equally popular and beautiful i-Sopod tanks come close at $25,000. 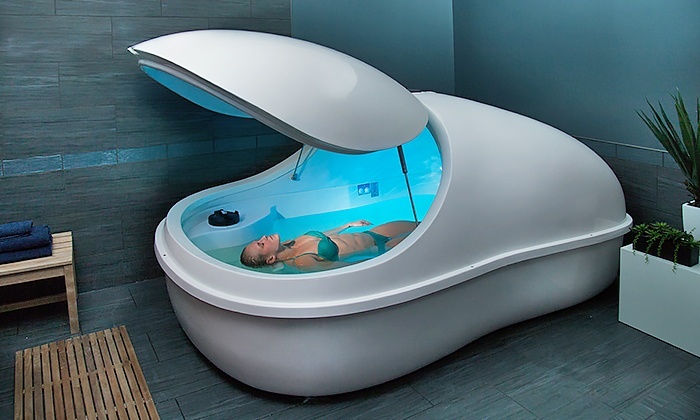 The isopod float tank price is inclusive of the required training and installation costs. It is the most spacious float tank on the market today, allowing a floater to move and stretch as they please. The cost of running ani-Sopod float tank is effectively lowered due to its hermetically-sealed design and low-voltage use. Its filtration system, pump, and heater are all external, allowing for easy access if any parts would need checking. You also have a smart system in place where you can program the session length, music timing, internal lighting, disinfection, and cleaning. If you are in the market for a mid-range unit, you may want to consider a Samadhi float tank. With so many choices, from $6,000 to $15,000, you get to choose which features you want in your tank and which you can do without. Each Samadhi float tank has the same body, air circulation system, and five-year warranty. The price differs due to its use and features. Tanks which are designed for commercial use and those that have flashy specs will run from $14,000 to $15,000. Those that have the basic features and are for home use only can range from $6,400 to $13,000. Meanwhile, a basic Oasis float tank will only cost you $8,750 but you have the option to add more to the design if you have the money to spare. Such add-ons are UV filtration system and replacement bulbs, a digital electric timer, an electronic pH tester, a digital heater, and a digital thermometer. Should you decide on getting all, you would still land on a total of just $10,265 for a home float tank. You may even want to check out a new breed of Zen-inducing sensory deprivation environment which is dubbed asfloat tent. A unit from Zen Floatstarts at only $1,940. That is already a big price slash compared to a brand new luxury float tank. The main purpose and experience will still be the same, peace and calm at a no-gravity and lightless cocoon. The tank literally looks like a canvas tent with a solid rectangular tub at the bottom. It has to be placed in a quiet room because the canvas does not effectively block out noise compared to its more expensive counterparts. One Zen Float tank already has a tent, a complete filtration system, and a complete temperature control system. Zen Float gas sweetened the deal by offering a package complete with a year’s worth of Epsom salts. And that is on top of the usual freebies such as filters, hydrometer, ear plugs, underwater headphones and a leave-in hair conditioner! A sensory deprivation tank session cost at a reputable spa will set you back as low as $30 to as much as $150 per session. To make sure that you continuously experience all the benefits of float therapy, you will have to at least complete a session every week. Float therapy cost for three years will amount from $4680 to $23400, and that is not factoring in inflation yet! Can you imagine spending $10000 to $23000 in three years and ending up not owning a unit of your own? What if the whole family would like a session in the tank as well? 📌If you factor in everything- every little cost, the frequency of use, and the individuals who would benefit from a personal and at-home sensory deprivation tank – every cent will be worth it. You have many options when it comes to buying your own flotation tank for home use. Rather than running $30 to $150 a session per week in float therapy cost, you can decide on the frequency of your floating sessions. Some owners have even taken to using their float tanks every day; ranging from a few minutes to an hour. Aside from saving tons of money along the way when you buy your own float tank, owning one offers you comfort and convenience. Check out below why floating at home is better than visiting a float spa. Travel time is eliminated allowing for continuous relaxation before and after floatation therapy. Floating naked is the recommended practice and you may freely do so at your own home. You may decide on the frequency and time of your sessions. You can easily recover the float tank price by having more sessions. You may easily recover the cost in one to two years compared to shelling out the same amount of money or more at spas. You may also decide to rent out your own unit to others to make up for the float tank cost that you paid outright. If your budget is limited, why don’t you consider a second-hand unit from someone who is ready to purchase a higher-end model? The price of used float tanks is around $2,000 to $5,000. You may check Facebook pages that cater to potential buyers that are already in the market for a used float tank or you can try what I did; I used Where-To-Float to match me with a used floatation tank near me. If you still find used float tanks expensive, then maybe your best option is to build your own float tank. However, don’t expect the whole process to be easier and cheaper. In general, float tanks are expensive. You can set up one at your home for less than $9,000. But this only includes the basic features. You also have to invest in Epsom salts. 📌Perhaps, the best thing about this is that you can design it your way. And you can work on it at your own phase. If you are really interested in a DIY float tank then you should know the things that you need to consider before building one. But if you are desperate to own one and couldn’t afford the hassle of building your own, the best thing to do to start floating is to invest in a used float tank. Then, save until you can afford your dream sensory deprivation chamber. Despite its steady growth, flotation therapy cost has not gone down due to its unavailability in most towns and cities. Instead of waiting for a flotation center or float spa to open up in your area, it may be better to purchase a float tank for personal use. If you look at the benefits that it could give now and down the road, it can definitely justify the sensory deprivation tank price. If you have a family living with you, it will be an even better investment on your part. You may even invite friends over to try it and experience the benefits for themselves. 📌So, invest for a quality float tank for your health and overall well-being today! If you want to learn more about floatation tanks, float therapy and health and performance. You can check our homepage. If you have flotation therapy experiences you would like to share with us, feel free to send us a message!